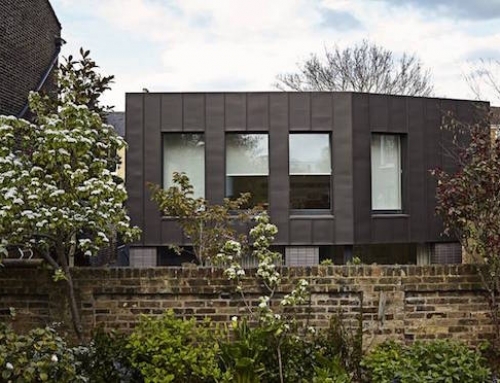 This home was designed to use 90% less energy for heating. 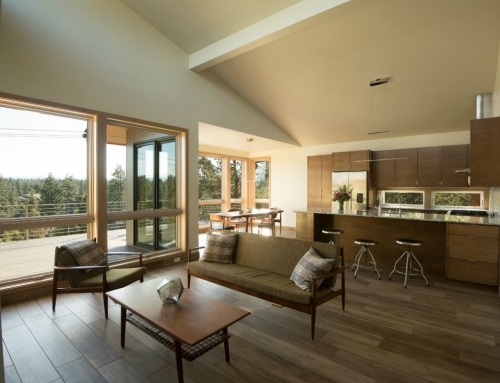 “Proper solar orientation, fanatical air sealing, reduced thermal bridging, and ultra-high-performance German windows help the building meet an annual energy consumption target of 120 kilowatts per square meter,” according to Residential Architect. It’s being constructed with an optimized and engineered timber frame, a shell of SIPs, and an insulated concrete foundation slab. Upon completion, the house will be rented for two years, while G•O Logic will monitor performance to determine whether energy use targets have been accomplished. [+] Learn more about this G•O Logic prototype house. Photo credits: Maine Public Broadcasting and G•O Logic. Canadian manufacturers as possible. 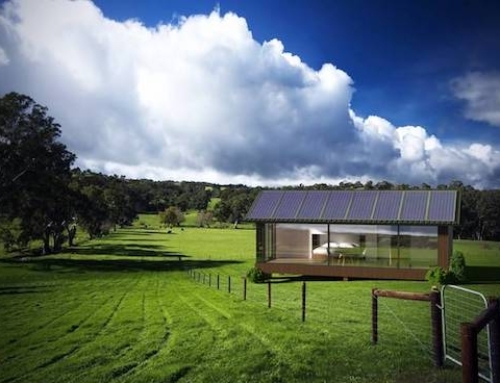 This is the future of energy efficient windows and doors! this is a great example of what happens when you can foster a true design build relationship and have the architect and builder on the same page with the same goals. interesting design too! “Proper solar orientation, fanatical air sealing, reduced thermal bridging, and ultra-high-performance German windows help the building meet an annual energy consumption target of 120 kilowatts per square meter,” according to” an educated guess on software models, not including real-world occupied energy consumption. I’m sure the high efficiency house does a great job with a standard model, but it does always irk me a bit when designers claim grandiose energy savings based almost entirely on modeling software and anticipated savings. I’m glad to hear that they’ll be testing for two years to see if their goal has been accomplished. Also, attempting to do the math on the energy consumption, my back-of-napkin numbers say they’re hoping for ~46 kWh per day, which isn’t very impressive. They claim a modeled energy use of “120 kilowatts (hours?) per square meter.” @ 1,500 sq/ft (converted to 139 sq/m) means they’re planning on an annual household use of 16,728 kWh. Divided by 365 = 45.83 kWh a day. 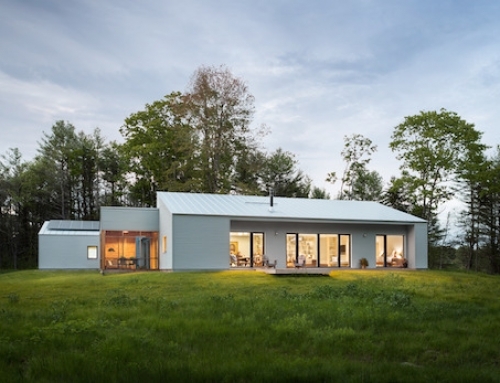 The passive house standard of 120 kWh/m2 annual energy consumption is measured in “primary energy,” which is the energy used to produce and deliver whatever energy is used in the building. The Germans consider grid power to be only about 35% efficient at delivering energy; therefore, any electrical loads in the house are multiplied by 2.7 to arrive at or below the 120 number. Plus they give no credit for offsetting with PV. 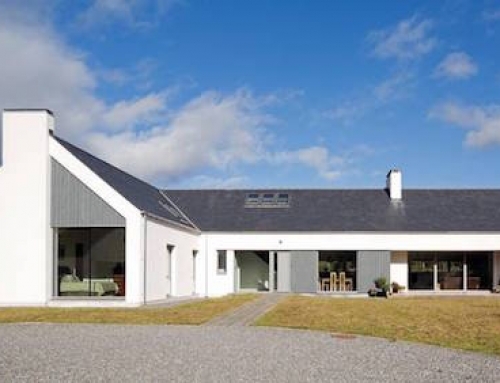 Using a solar thermal system counts for supplying domestic hot water because all of the energy is harvested on site. We expect the house to need 1500 kWh for heating in a 7400 heating degree day climate; 600 kWh for water heating with the solar thermal system supplying 80-90% of the demand, and 2,500 kWh for appliance, lighting, and plug loads. The total of 4,600 kWh (actual predicted usage) times the 2.7 factor equals 12,420, and dividing that by the area of the interior usable space (not the outside dimensions) results in 117 kWh/m2 annual. Because we expect to offset virtually all of the electric load with the PV array, the actual net electrical usage will be near zero. Ah, thank you for the clarification on source/site energy. That makes much more sense.